It’s almost time for my favorite holiday of the year! 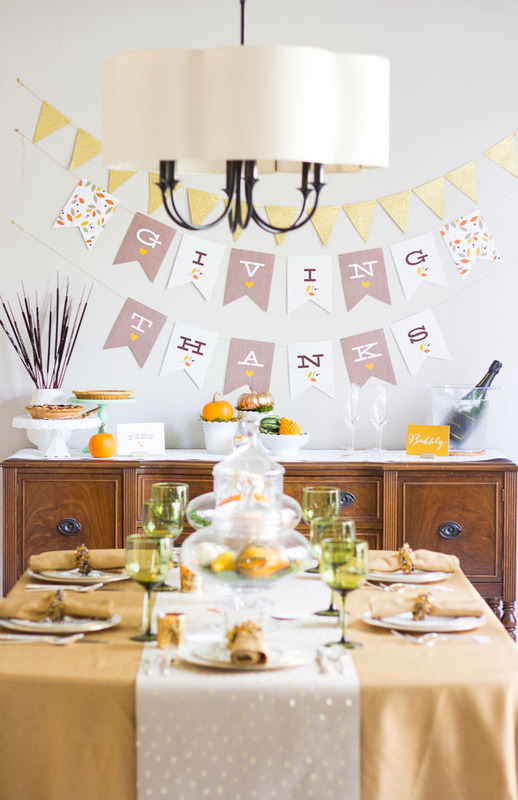 I love every aspect of preparing for Thanksgiving (other than cleaning the turkey!) 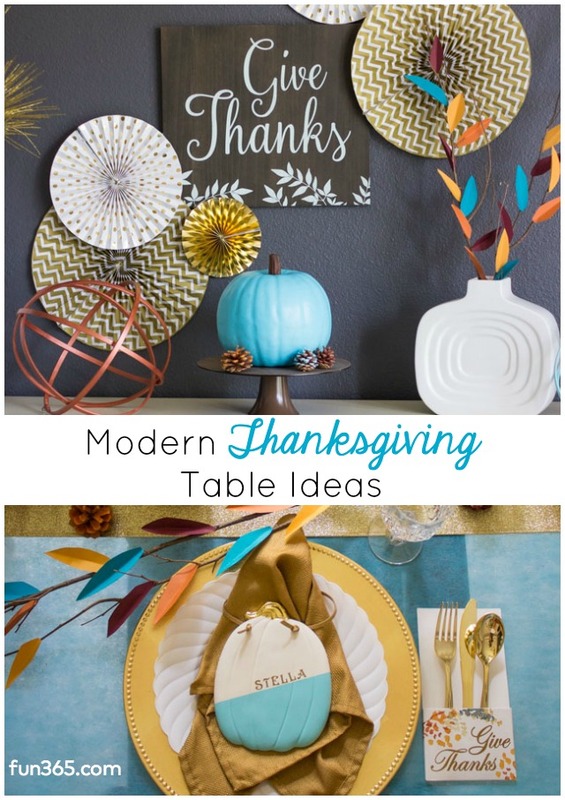 – from making the grocery list, to baking the same dishes my mom made, to setting a special Thanksgiving table. On a typical Thanksgiving morning you can find me hunting around my house for an impromptu tablescape, pulling together special napkins, vases, and greenery from the yard. 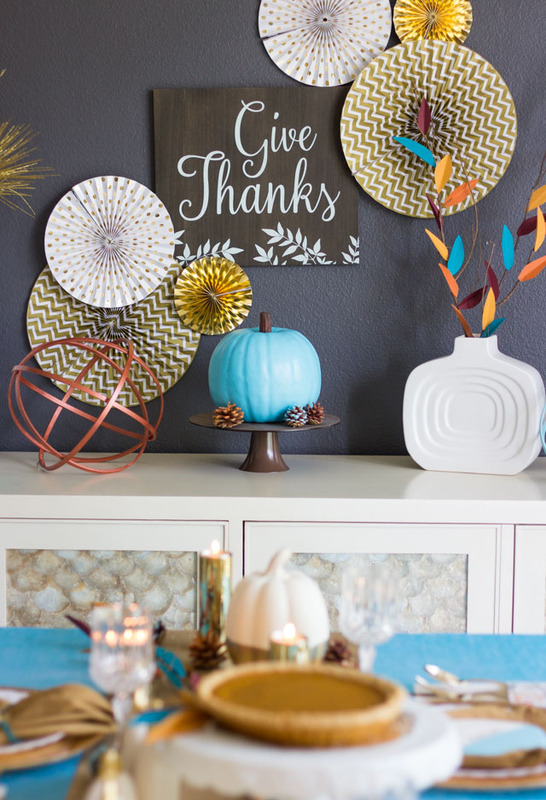 This year, I got a little head start with this modern turquoise and gold Thanksgiving table I styled for Oriental Trading. 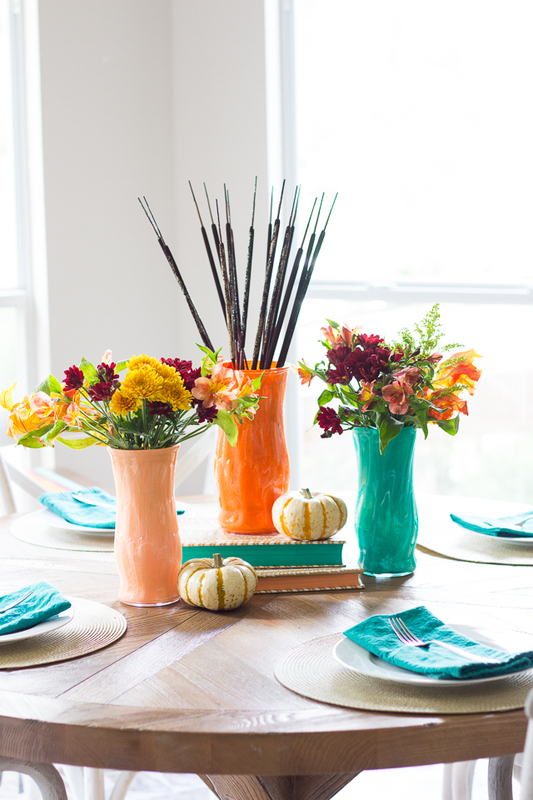 I like to change up my table decor every Thanksgiving, and one way to do that is with color. It can be as easy as cutting a few paper leaves or painting some pinecones. 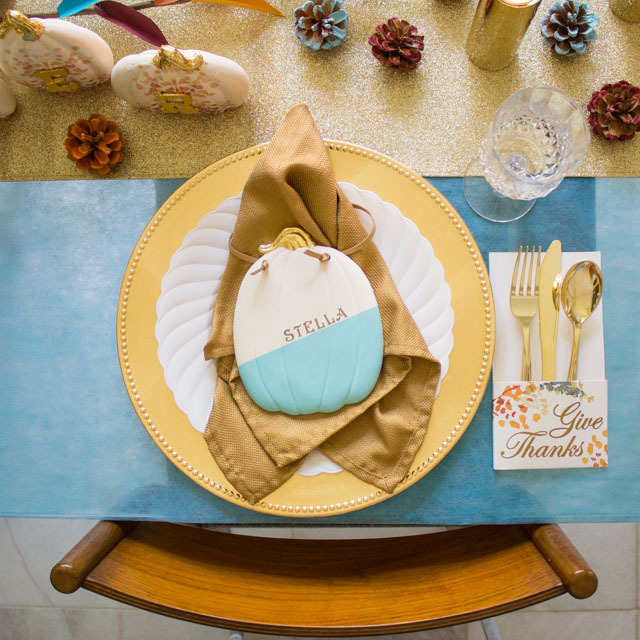 Read on for some simple ways to create a modern Thanksgiving table with turquoise, burgundy, and gold! A turquoise pumpkin? Why not! 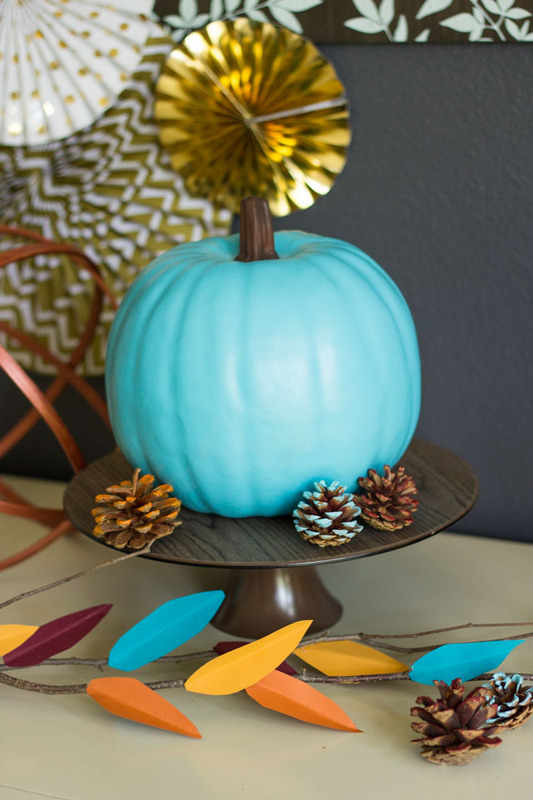 You can either paint a pumpkin this fun color or buy a faux teal pumpkin. I had some left over from my Pumpkin Week projects. Create a simple and stunning centerpiece for your table or sideboard with just branches from your yard and paper leaves. It couldn’t be any easier! I just freehand cut the leaves from cardstock, folded them down the center to create a crease, and added to the branches with hot glue. 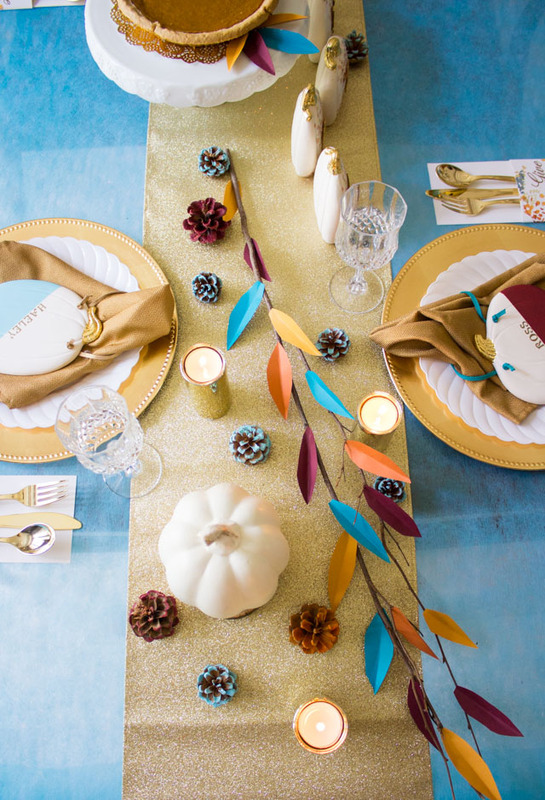 I chose a color palette of turquoise, burgundy, pumpkin, and gold that is so pretty! You can add branches down the center of your table too. 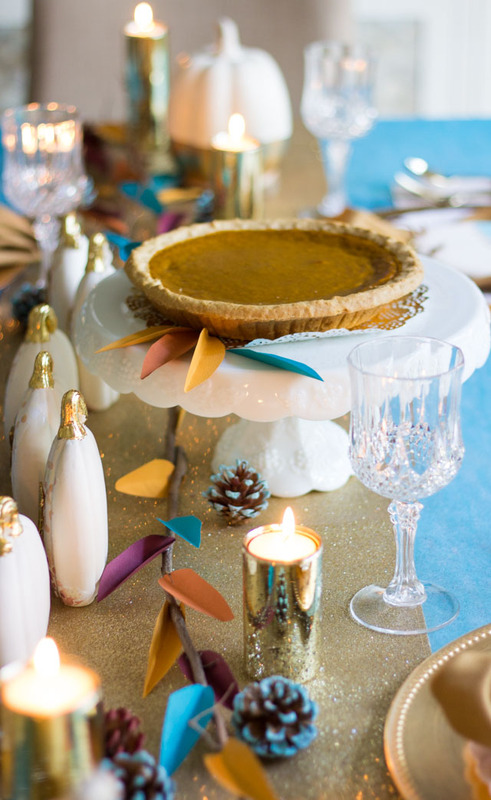 I laid mine down the center of a gold table runner and scattered pinecones that I had painted with turquoise, orange, and burgundy craft paint. 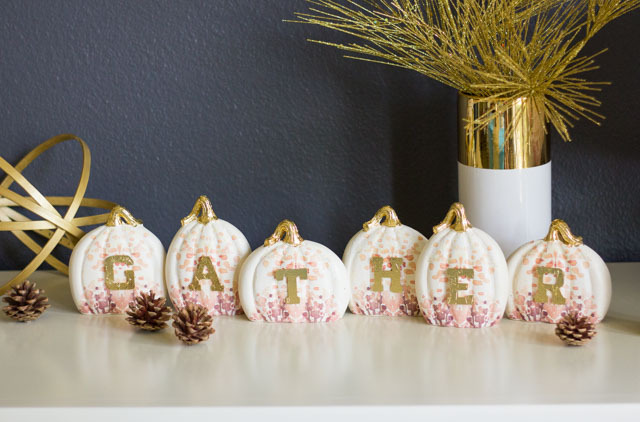 For the place settings, I included a ceramic pumpkin ornament decorated with paint, gold foil and a name created with letter stickers. They double as a pretty place card and memento that guests can take with them. Check out the pumpkin place card tutorial. 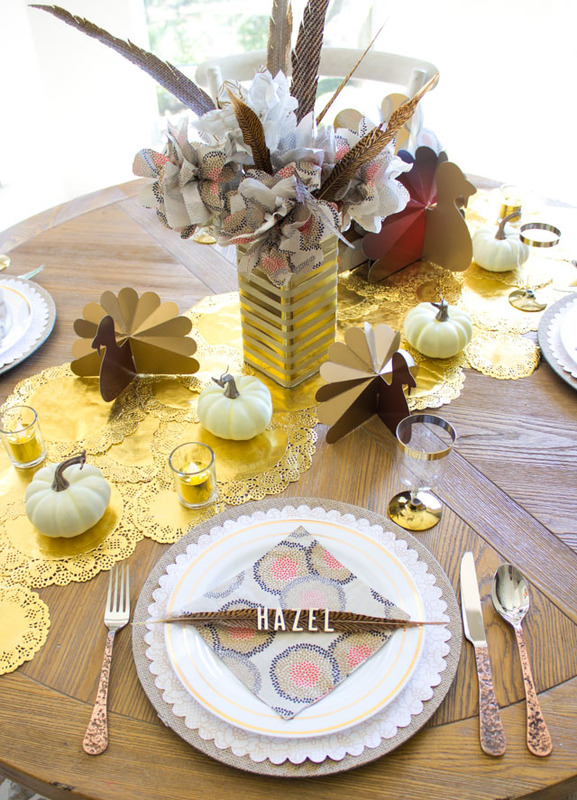 I also used a set of stand-up ceramic pumpkins to create a pretty “Gather” centerpiece. I created the pretty design on the front by adding napkins (yep, napkins!) with Mod Podge and then gluing on a wood letter decorated with gold foil. 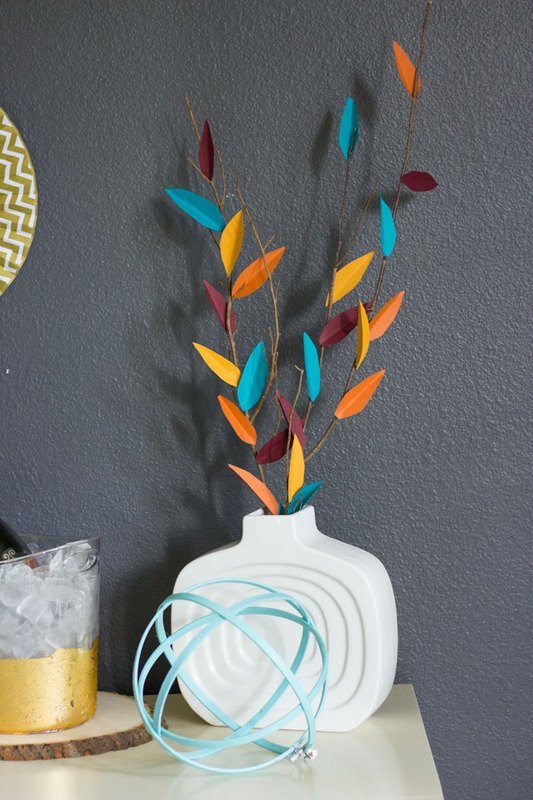 Here is the gather centerpiece tutorial. 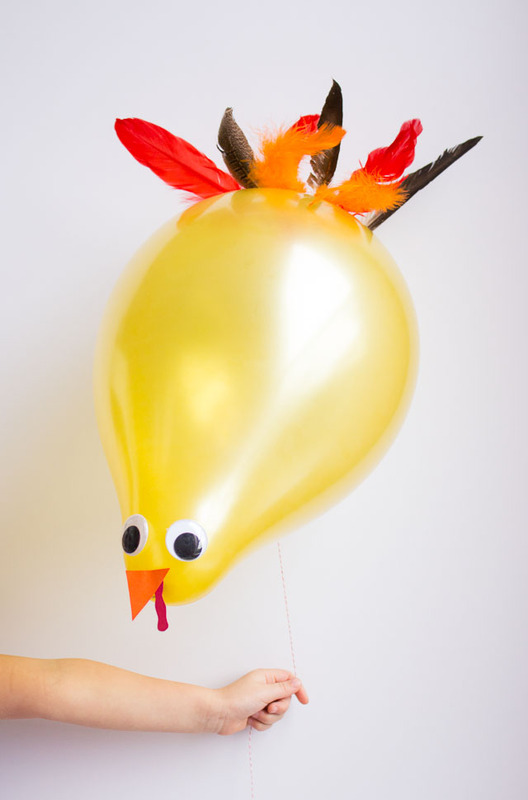 Head to Oriental Trading’s Fun365.com for all the details of this Modern Thanksgiving Table Decor!